Houston Luxury Lighting of The Woodlands is one of the best architectural Landscape Lighting companies in the The Woodlands area. Our dedication to each and every client is our number one priority. Once you schedule your outdoor lighting consultation, one of our personable technicians will come out to your home or business and meet with you to discuss your vision and your budget. Each of our outdoor lighting designs is customized to meet your satisfaction. We bring beauty to every home and business that uses our landscape lighting products. The fixtures are made in the USA and backed by our manufacturer. We only use top quality products. Houston Luxury Lighting will go over our renderings for your home or business along with your quote. We want to make sure your new landscape design meets all of your needs. All of our renderings are included in our consultations. Houston Luxury Lighting installed landscaping lights on our property that truly accent our lovely flowers & trees. And they remind us about needed maintenance checks to make sure that everything keeps running smoothly ~ which is so very important during hot & rainy seasons. Yes, they truly are skilled, reliable & dependable ~ especially when you need them. Houston Luxury Lighting strives to be the best creative landscape lighting, architectural lighting, and outdoor lighting company in The Woodlands. 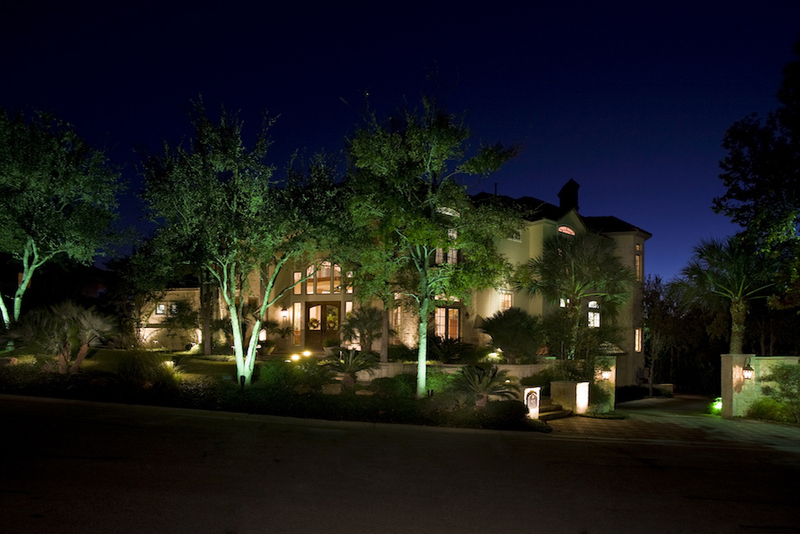 Need Landscape Lighting Installation Services and you are not located in The Woodlands?